Ketoconazole can cause serious (possibly fatal) side effects and drug interactions. Therefore, it should only be used when other treatments have not worked, are not available, or cannot be taken by you. Discuss the risks and benefits of this medication, as well as other effective and possibly safer treatments for fungal infections, with your doctor. Ketoconazole has rarely caused very serious (possibly fatal) liver problems. Get medical help right away if you develop symptoms of liver problems, including persistent nausea/vomiting, stomach/abdominal pain, dark urine, yellowing eyes/skin, loss of appetite, or light colored stools. To reduce your risk for liver problems, your doctor should obtain liver function tests every week while you are taking this medication. Do not drink alcoholic beverages while taking ketoconazole because alcohol increases the risk of serious liver problems. See also Notes section. Ketoconazole must not be used with certain other medications because a serious, possibly fatal, drug interaction may occur. Ketoconazole interacts with drugs such as cisapride, disopyramide, dofetilide, dronedarone, methadone, pimozide, quinidine, ranolazine, among others. These interactions may increase the risk of a certain condition that affects the heart rhythm (QT prolongation). QT prolongation can rarely cause serious (rarely fatal) fast/irregular heartbeat and other symptoms (such as severe dizziness, fainting) that need medical attention right away. Tell your doctor and pharmacist about all the medications and products you may be taking before you start ketoconazole treatment. See also Precautions section. Who should not take Ketoconazole? What conditions does Ketoconazole treat? Nausea and vomiting may occur. If any of these effects persist or worsen, tell your doctor or pharmacist promptly. Tell your doctor right away if you have any serious side effects, including: headache, vision changes, mental/mood changes (such as depression, thoughts of suicide). Although unlikely, when ketoconazole is used at high doses, it may cause an adrenal gland problem (adrenal insufficiency), a decrease in testosterone levels, and a decrease in sperm production. Ketoconazole can also worsen existing adrenal gland function problems (See also Precautions section). The adrenal gland problem may make it more difficult for your body to respond to physical stress. Therefore, before having surgery or emergency treatment, or if you get a serious illness/injury, tell your doctor or dentist that you are using this medication. Your doctor may order a blood test to monitor your adrenal gland function while you are taking ketoconazole. These effects usually go away after ketoconazole treatment is stopped. Tell your doctor right away if you have any serious side effects, including: unusual tiredness, weakness, dizziness upon standing, diarrhea, weight loss, menstrual period changes, decreased sexual interest or ability, enlarged/tender breasts in men. List Ketoconazole side effects by likelihood and severity. Before taking ketoconazole, tell your doctor or pharmacist if you are allergic to it; or to other azole antifungal drugs (such as fluconazole, itraconazole); or if you have any other allergies. This product may contain inactive ingredients, which can cause allergic reactions or other problems. Talk to your pharmacist for more details. Before using this medication, tell your doctor or pharmacist your medical history, especially of: liver problems, alcohol use, low testosterone levels, decreased adrenal gland function problems (such as low cortisol levels, Addison's disease, adrenal insufficiency), little or no stomach acid production (achlorhydria). Ketoconazole may cause a condition that affects the heart rhythm (QT prolongation). QT prolongation can rarely cause serious (rarely fatal) fast/irregular heartbeat and other symptoms (such as severe dizziness, fainting) that need medical attention right away. The risk of QT prolongation may be increased if you have certain medical conditions or are taking other drugs that may cause QT prolongation. Before using ketoconazole, tell your doctor or pharmacist of all the drugs you take and if you have any of the following conditions: certain heart problems (heart failure, slow heartbeat, QT prolongation in the EKG), family history of certain heart problems (QT prolongation in the EKG, sudden cardiac death). Low levels of potassium or magnesium in the blood may also increase your risk of QT prolongation. This risk may increase if you use certain drugs (such as diuretics/"water pills") or if you have conditions such as severe sweating, diarrhea, or vomiting. Talk to your doctor about using ketoconazole safely. Do not drink alcoholic beverages while taking this medication because alcohol increases the risk of serious liver problems. Avoiding alcoholic beverages will also decrease the risk of a rare reaction with ketoconazole that may result in flushing, headache, and nausea. During pregnancy, this medication should be used only when clearly needed. It may cause harm to an unborn baby if taken during the first 3 months of pregnancy. Discuss the risks and benefits with your doctor. What should I know regarding pregnancy, nursing and administering Ketoconazole to children or the elderly? Ketoconazole interacts with many prescription and nonprescription drugs. While you are taking ketoconazole, it is very important to tell your doctor or pharmacist of any changes in medications that you are taking. Some products that may interact with this drug include: other drugs that can cause liver problems (such as acetaminophen). Other medications can affect the removal of ketoconazole from your body, which may affect how ketoconazole works. Examples include isoniazid, nevirapine, rifamycins (such as rifabutin, rifampin), St. John's wort, among others. This medication can slow down the removal of many other medications from your body, which may affect how they work. Examples of affected drugs include some benzodiazepines (such as alprazolam, midazolam, triazolam), domperidone, eletriptan, eplerenone, ergot drugs (such as ergotamine), nisoldipine, drugs used to treat erectile dysfunction-ED or pulmonary hypertension (such as sildenafil, tadalafil), some drugs used to treat seizures (such as phenytoin), some statin drugs (such as atorvastatin, lovastatin, simvastatin), among others. Ketoconazole requires acid in the stomach to be well absorbed. Therefore, if you are taking drugs that decrease the amount of stomach acid including antacids, heartburn/ulcer drugs (H2 blockers such as cimetidine, famotidine, ranitidine), sucralfate, or if you are taking drugs that slow down gut movement (anticholinergics such as dicyclomine, propantheline), take ketoconazole at least 2 hours before any of these drugs. If you are taking proton pump inhibitors (PPIs such as lansoprazole, omeprazole), ask your doctor or pharmacist for advice on how to reduce or avoid this interaction. Does Ketoconazole interact with other medications? Should I avoid certain foods while taking Ketoconazole? Laboratory and/or medical tests (such as liver function tests and INR) must be performed before you start treatment, periodically to monitor your progress, or to check for side effects. Consult your doctor for more details. 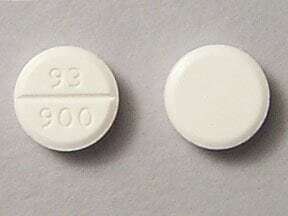 This medicine is a white, round, scored, tablet imprinted with "93 900". 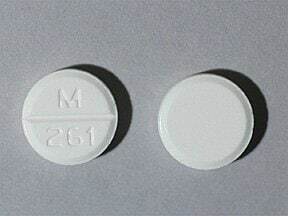 This medicine is a white, round, tablet imprinted with "M 261". 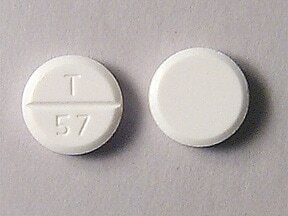 This medicine is a white, round, scored, tablet imprinted with "T 57". Are you considering switching to Ketoconazole? How long have you been taking Ketoconazole?